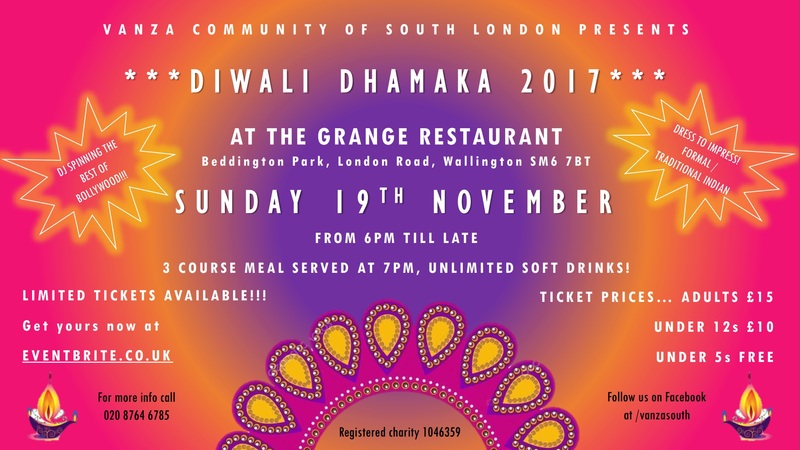 Jai Gopal – This year will be celebrating Diwali at The Grange Restaurant in Carshalton. VCSL are subsidising this event to make is accessible to all so invite your friends and family. Seats are limited so click HERE to buy your tickets ASAP!